DENVER, Colo. (March 20, 2018) – Winning the pole at Martinsville (Va) Speedway and getting the all-important first pit stall at the 0.526-mile short track, is the first goal for Martin Truex Jr., who has captured the No. 1 starting spot at the last two NASCAR Cup Series races. It’s not out of the question for Truex and his No. 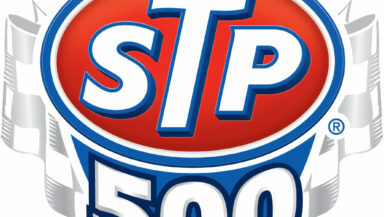 78 5-hour ENERGY/Bass Pro Shops Toyota to win the pole on Saturday for Sunday’s STP 500. He has had five top-three qualifying efforts in the last six races at Martinsville, including the pole at the 2016 fall race, and second in last year’s fall race. Though Truex feels that Martinsville is a head-spinning, befuddling track, he has had some recent success there with four top-10 results in the last six races, including a runner-up finish in October. “Racing at Martinsville is like being in a cage match all day long, constantly fighting with the guys,” Truex stated. “You can never get away to settle down and relax. It’s a real battle to run 500 laps there. It’s taken me a long time to figure out the tiny tendencies on how to drive Martinsville. Truex, the 2017 NASCAR Cup Series champion, is coming off of his first win of the season with a dominating performance Sunday at Auto Club Speedway in Fontana, Calif. His margin of victory at the 2-mile track was 11.685 seconds. The California win lifted the Mayetta, N.J. native into first place in the driver point standings. He also leads the series in the following categories: finishing average (6.6), average running position (5.84), top fives (4) stage points (60) and poles (2). After getting wrecked late in the Daytona 500 and finishing 18th, Truex has bounced back with four consecutive top fives – fifth in Atlanta, fourth in Las Vegas, fifth in Phoenix and first in Fontana. Truex’s career record at Martinsville includes, 24 starts, three top fives, eight top 10s, one pole and 240 laps led. His average starting position is 14.7 and average finishing position is 19.6. Josh Leslie, Mount Clemens, Mich.
Adam Mosher, Fort Mill, S.C.
Jeff Curtis, Fairfax Station, Va.
Chuck Lemay, DeKalb, IL, Barry Huston, Bloomingdale, Mich., Roy Miller, Elkridge, Md., Mike Clementson, Cambridge, Md., Jon Adkins, Hickory, N.C. I totally agree with this article. It’s about time someone wrote about the playoff system and it’s obvious flaws. However no one writes about its mostl obvious failure. It was supposed to increase interest in the championship. It was designed to increase attendence and tv ratings. It has done neither. What it did was create a ten race champion. Hence the lack of respect for Jimmie Johnson’s championships. And that is a shame. It was great that Truex did win Homestead last year as he certainly was a 36 race champion in every category.